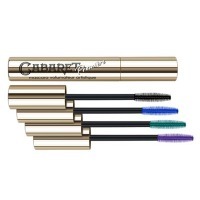 Highly popular Vivienne Sabó Cabaret Première mascara in two shades on my eyelashes. The legendary product is close to the ideal one! Good day everyone I have the Vivienne Sabó Cabaret Première mascara in two shades: black and purple. I couldn’t help but purchase this mascara, when I saw that it was available in different colors.